AAGW offers a wide variety of events to train industry staff and network with supplier and industry professionals. 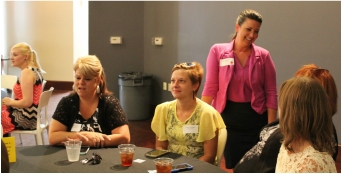 Each month we host our Monthly Membership Meeting. This is an opportunity to learn from a keynote speaker and enjoy lunch while catching up with colleagues and meeting new business contacts. ​Take a look at our calendar of events so you don't miss any upcoming educational events or a fun special event where we celebrate the comradery and professionalism of the apartment industry.